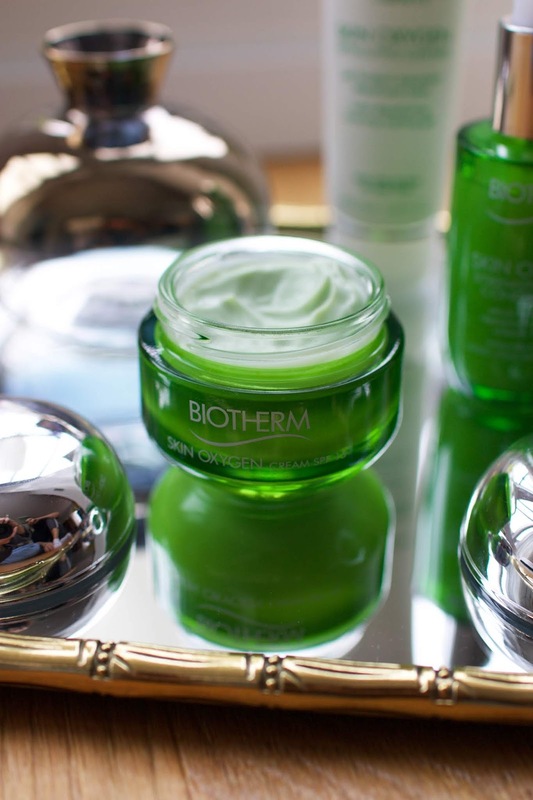 This is an advertorial in collaboration with Biotherm. 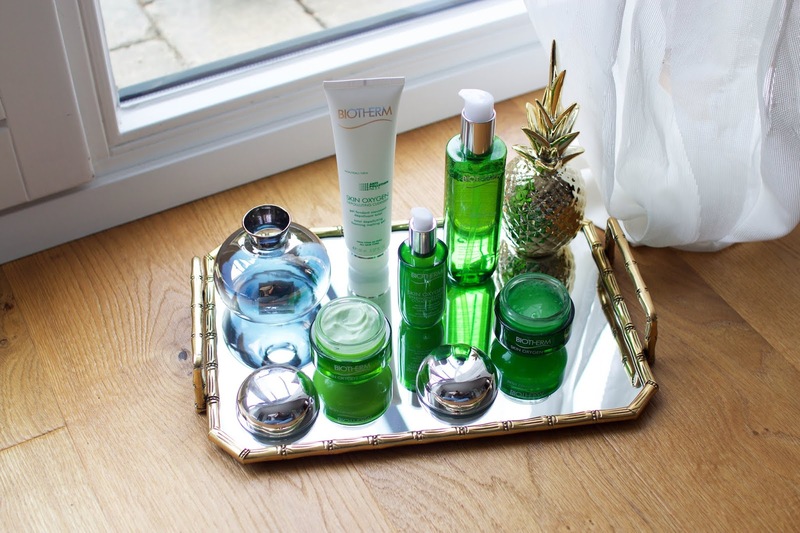 Skincare has always been one of my favourite topics to talk about on my blog. Recently I've been testing the Biotherm Skin Oxygen line, a range of products that work to counteract the effects of pollution and living in the hustle of the city. 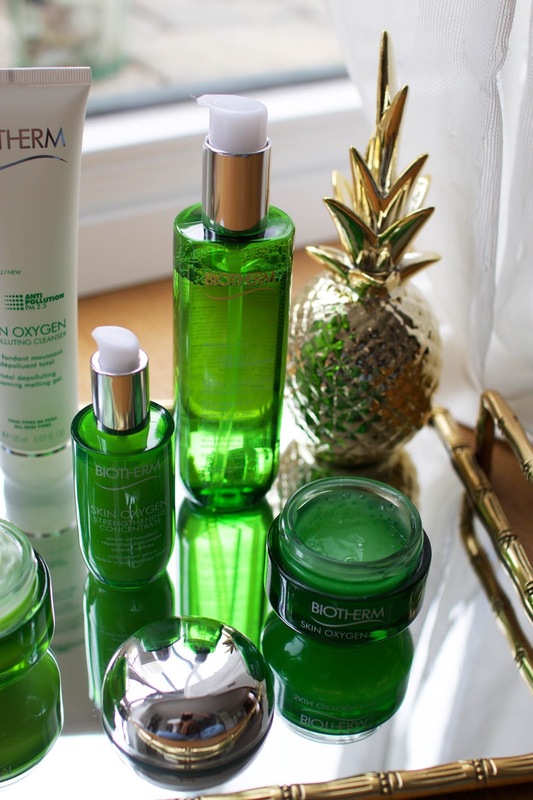 We all know the damaging effects that the sun can have on our skin but the smog and other grime in the air can also wreak our complexion - these toxins can lead to faster aging skin, fine lines, wrinkles, enlarged pores and even cause redness and fragile skin. 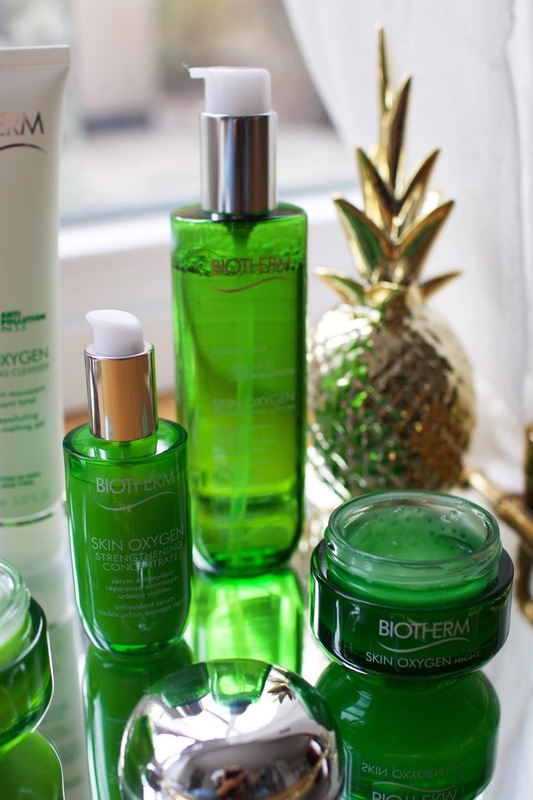 Biotherm have created this range to improve your skin in only seven days, with antioxidant-rich formulas that form an invisible shield between your skin and the air's smog to prevent premature signs of aging caused by pollution. Read on to find out everything about this amazing line of products. 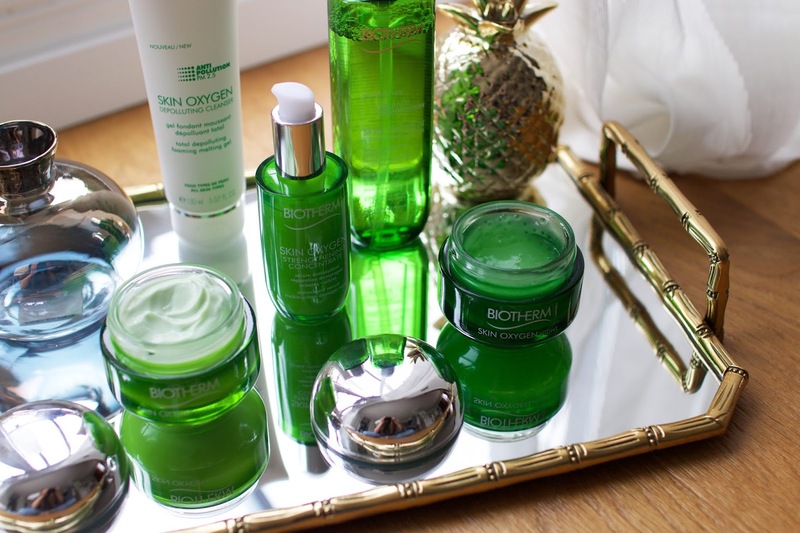 The key ingredient in these products is chlorella, which is an algae that can only be found in fresh water. This algae has the ability to purify fresh water thanks to its chlorofyl substance. Its highly detoxifying properties makes it the perfect ingredient for this range and works wonders for your health and skin. 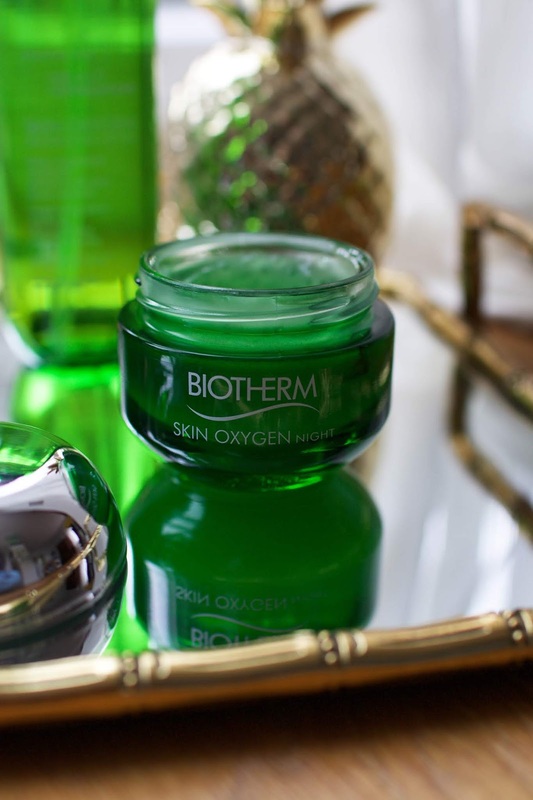 The Biotherm Skin Oxygen line consists of a cleanser, toner, serum as well as a day and night cream and is supposed to give your complexion a real detox and arm your skin against the daily pollution it encounters while we're following our busy routines strolling around the city. This skincare routine is so easy to follow and only takes a couple of minutes in the morning and evening. I absolutely love how fresh and healthy my skin feels afterwards and I really appreciate that this whole line aims to create radiant skin, minimize pores and eliminate spots all at the same time. I literally can't even decide which one of these products is my favourite! The first step in this routine is applying a dollop of the Skin Oxygen Depolluting Cleanser to dry skin. This gel cleanser will leave your skin feeling super clean and soft. After massaging it into my skin for about a minute I add a little bit of water just so the gel quickly turns into a foam. I then rinse it off with cold water. I also love that this product doesn't dry out my skin in the slightest, which is always a quality I look for in a good cleanser. The next product is the Oxygenating Lotion a toner enriched with peppermint leaf water that feels incredibly cooling and refreshing. I usually apply three pumps on a cotton pad and smooth it over my face. You can literally feel how it cleanses your pores making them appear smaller and less visible overtime. Followed by the next step which is to apply the serum. The Skin Strengthening Concentrate is an antioxidant serum with an ultra lightweight texture. It feels super light and fresh and isn't sticky at all. I apply one pump, which is usually enough for my entire face and gently massage it into my skin. It absorbs so quickly and prepares the skin perfectly for the next step, which is either the day cream or night cream. Last but certainly not least we have the Skin Oxygen Cream LSF 15 a super lightweight cream which is perfect for daytime use. I absolutely love the soft texture of this cream and how quickly it absorbs into the skin. I find that it hydrates my skin nicely without leaving a sticky or oily residue on my face, making it the perfect product to use underneath foundation. 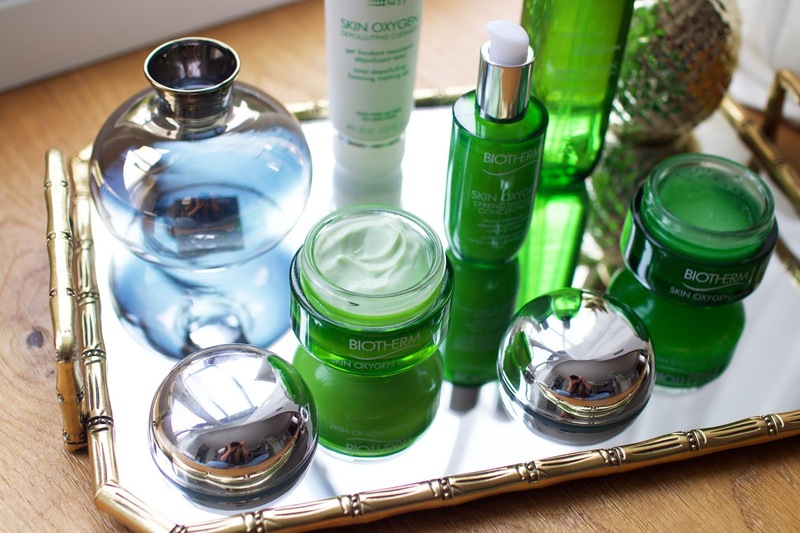 Biotherm have also introduced a night cream to this range, the Skin Oxygen Restoring Overnight Care. This hydrating gel contains hyaluronic acid to deeply moisturise the skin overnight. It feels very cooling and also sinks into the skin quite quickly. 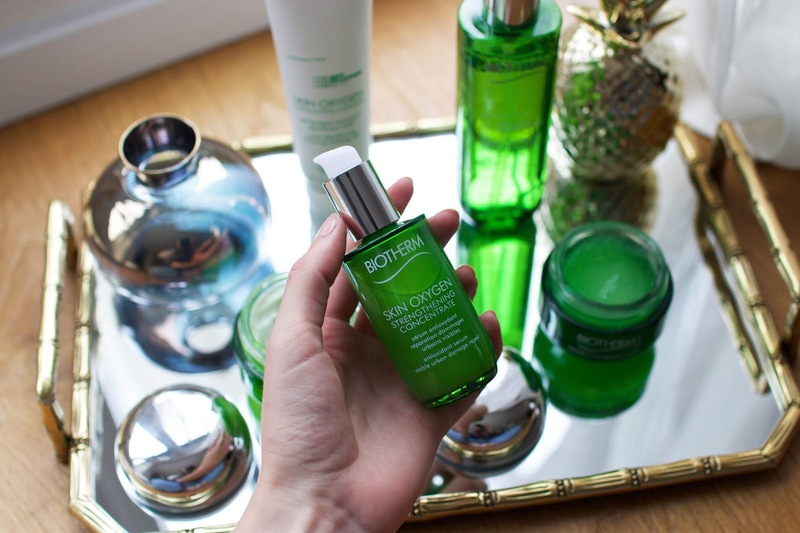 I have been following this skincare routine for a couple of weeks now and overall, I'm super happy with this range and I love how my skin feels and looks after every use. I highly recommend giving these products a try if you're on the market for new skincare, especially if you're living in the city and could use those extra antipollution benefits. 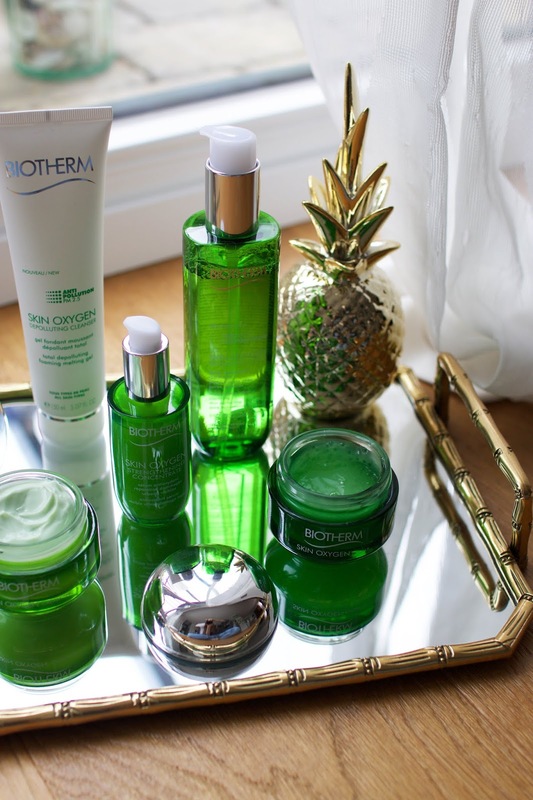 I also totally love the scent of these products, Biotherm have mixed citrus, white tea and flower essences to create this beautiful, fresh scent. It's such a lovely smell to wake up to and go to bed with! All of these products definitely get a big thumbs up from me! 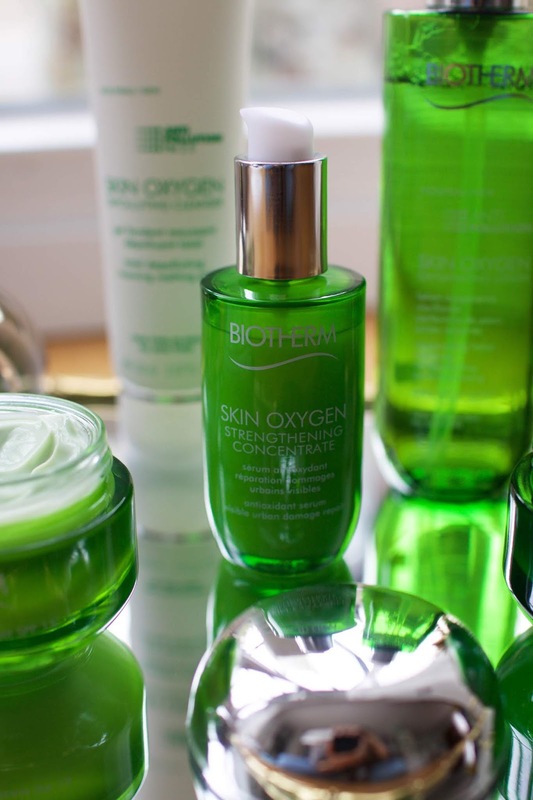 Have you guys tried the Biotherm Skin Oxygen range yet? I'd love to hear your thoughts on these products in the comments.